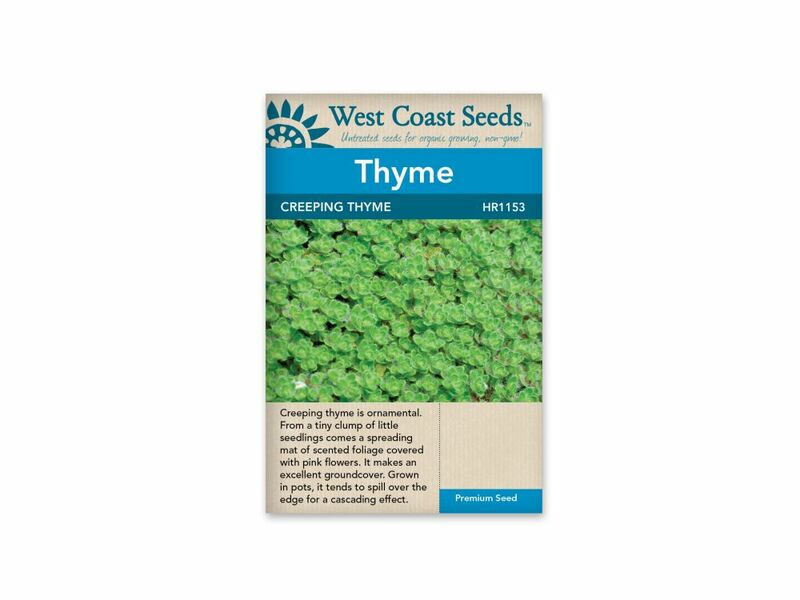 WEST COAST SEEDS CREEPING THYME forms a spreading mat of scented foliage that is excellent coverage for rock gardens. It blooms May to August and grows to maximum heights of 6″. These untreated seeds for organic gardening are non-gmo.